According to credible reports received by the Gulf Centre for Human Rights (GCHR), woman human rights defender Nassima Al-Sadah was returned to solitary confinement last week in a security prison in Saudi Arabia. The reasons are undeclared, but Saudi authorities are known to use it as a method of torture to put more pressure on women human rights defenders. 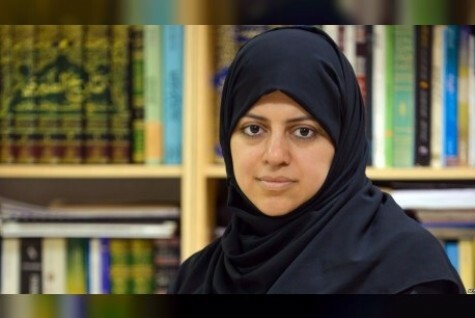 Al-Sadah has been detained since her arrest on 30 July 2018 in Al-Mabahith Prison at the General Intelligence in Al-Dammam city. It is under the control of the State Security Presidency. She was placed in solitary confinement after her arrest as well. Al-Sadah is a co-founding member of Al-Adalah Center for Human Rights, which was denied a permit to work for human rights. She was also heavily involved in recent years in the women’s driving campaign in Saudi Arabia and summoned for interrogation many times solely due to her legitimate and peaceful human rights work. GCHR has news of 15 human rights defenders who have been imprisoned since May 2018 in connection with the mass crackdown on women’s rights defenders. Others who can be named include Loujain Al-Hathloul, Aziza Al-Yousef, Eman Al-Nafjan, Nouf Abdelaziz, Hatoon Al-Fassi, Samar Badawi, Shadan Al-Enazi, Amal Al-Harbi and Mohammed Al-Bajadi. Guarantee in all circumstances that all human rights defenders in Saudi Arabia are able to carry out their legitimate human rights activities and advocate for women’s rights without fear of reprisal.